What a title! It's got a bit of everything! What could it possibly be about? 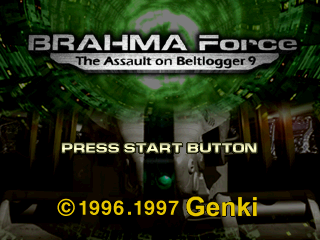 Wow, you sure you've squeezed enough text on that title screen there? I'll admit right now that everything I know about G.I. Joe comes from the 2009 film, but I'm pretty sure this isn't the insanely cheesy theme from the TV series playing in the background right now. It's a catchy tune though. 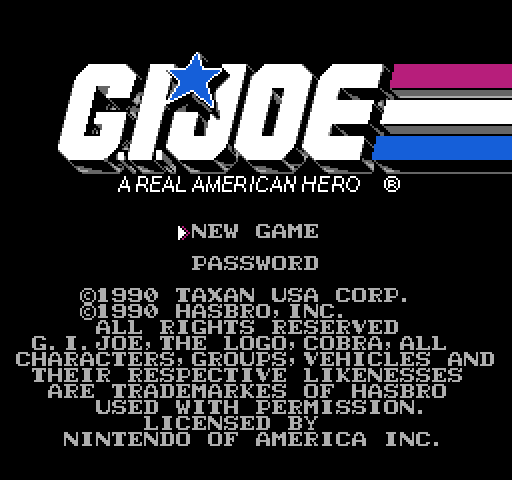 I wish I could say I played this game because of the request I got on twitter, but the truth is that I originally wrote this post in April 2012 so that I'd have it ready to put it up on the site in time for the cinema release of G.I. Joe: Retaliation. Unfortunately for me it seems that Paramount realised at the last minute that killing off a popular character at the beginning of the movie was probably a bad idea and delayed the film by a year for reshoots, ruining all my plans in the process. The bastards. I didn't think there was any rush in showing off what I thought of a 1991 NES game though, so I held onto this until today, when the time was finally right. 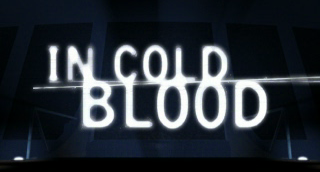 Today I'm finally taking a look at In Cold Blood on the PlayStation, after getting hundreds of requests for it over the past few months. Well two requests anyway, which is still a bit of a surprise to me because it seems like something very forgettable. This is the fifth game by adventure game specialists Revolution Software (of Broken Sword fame) and this time around they've apparently tried something new and added a bit of stealth action into the mix. Fortunately I'm the kind of guy who likes to keep an open mind, or else I would've been predicting that this is going to turn out to be a total train wreck right about now. Good news everyone, guest poster Faust has appeared to recite to us the legend of his journeys through the land of Bobbits, Gelatinous Cubes and EGA graphics in Ultima I, the semi-sequel to Akalabeth! HAIL SAG READERS! It’s the period of the year where I get an arbitrary two week break from work thanks to an event of religious significance, ergo I’ve elected to enter the fray here at SAG and play a game that’s been eating up space on my GoG.com shelf for a while: the original Ultima! The home of Lord British I presume? I vaguely remember this guy as he’s the alterego of the brain behind the series. I also think he went into space at some point, but I might be making that up. Either way: THE CASTLE BECKONS! After playing Soccer Kid, Hurricanes, Marko's Magic Football and Go! Go! Beckham! I had a feeling I'd seen all the football platformers. But just when I was resigned to the fact I'd have to move on to basketball platformers or whatever, I learned that there was actually still at least one of them out that I'd missed. 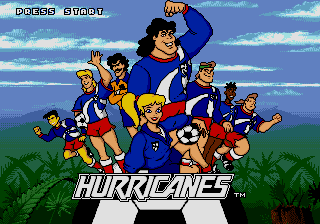 You see, I played the SNES version of Hurricanes, but there's actually a Genesis/Mega Drive game that apparently follows the same storyline (ie. the generic platformer level themes appear in roughly the same order), but seems to have different content and gameplay. So really it's another game entirely. 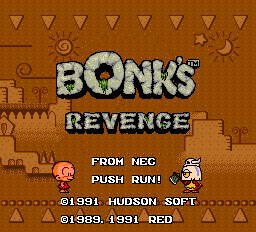 At last I've finally gotten around to playing another requested game: Bonk's Revenge for the TurboGrafx-16/PC Engine, aka. PC Genjin 2. This is the second in the Bonk/PC Genjin series of games, which were actually based around a character from comic in a PC Engine magazine (the name's a clever pun, see, as genjin means caveman). So this guy was basically Hudson's own Mario or Sonic, the mascot for their console. Though weirdly this is the first in the series to be exclusive to the system, as Bonk's Adventure came out on like four other formats. I played it for the site a couple of years ago on an Amiga, where it was called BC Kid just to confuse things even more for no good reason. 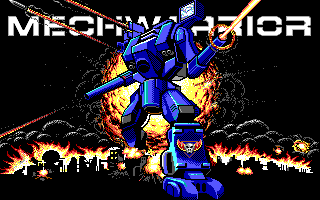 Wow that's the title screen, seriously? 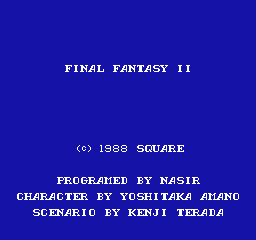 Today I'm playing the original Final Fantasy II on the NES, not to be confused with Final Fantasy II on the SNES which is an entirely different game (probably). I've got a problem here though, as Square seems to have neglected to release the original Famicom version in English and rule #3 over there on the right strictly forbids me from playing fan translations. So I can either run each line of text through Google Translate as I go, or play a remake. Or better still, I could do both! 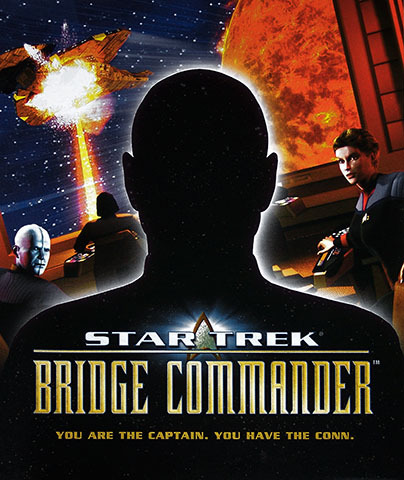 Today I'm playing Bridge Commander, a Star Trek space sim by Totally Games, the makers of the legendary X-Wing and TIE Fighter series, unarguably the best space dogfighting games EVER MADE. Well okay maybe that's debatable, but it's undeniable that people seem to like them and if this turns out to be even 50% as good then it'll be 1000% better than 99% of the Trek games I've played so far. I like how it boldly proclaims 'YOU are the Captain. You have the Conn.' on the cover and has an empty captain-shaped hole to show that yes it's actually YOU commanding this ship! Plus you've suddenly become a bald man with a strong resemblance to Patrick Stewart and the crew are concerned that if you lean any further you'll fall off your chair. Once Dizzy used to be a video game star. He was the Sonic the Hedgehog of the ZX Spectrum, the Master Chief of the Commodore 64! But time hasn't been kind to the adventurous egg and at last count there are only 839 people left in the world who would be willing to spend cash on a new Dizzy game. If last year's Dizzy Returns kickstarter is anything to go by anyway. £25,620 raised with a £350,000 goal, ouch. Still, there's over a dozen games starring the pugilistic ovoid in the world already and I feel like trying one out, so I decided to do some research into which of them is generally considered by fans to be the very finest of the Dizzy series. 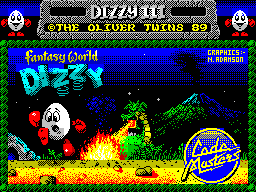 Then I learned that research is actually really boring, so in the end I just went with the third one: Dizzy III - Fantasy World Dizzy. BETWEEN THE FALL OF THE ANCIENT STAR LEAGUE AND THE RISE OF THE HEIRS OF STEINER-DAVION THERE LIVED AN AGE OF WAR UNLIKE ANY BEFORE OR SINCE. FIVE GREAT HOUSES STRUGGLED FIERCELY FOR SOLE POSSESSION OF THE INNER SPHERE OF MAN. ACROSS THIS TROUBLED STARSCAPE MARCHED MIGHTY MACHINES OF WAR LIKE TITANS THROUGH A GREAT STORM OF FIRE. 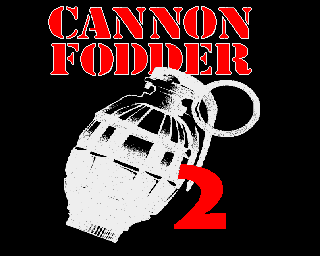 The first Cannon Fodder game caused a little bit of controversy due to its use of a poppy for its logo. The Royal British Legion apparently thought the game was offensive to millions and didn't much appreciate their symbol being associated with it. So for the sequel, Sensible Software went with a nice safe inoffensive image of a hand grenade for their logo. Fortunately for them Something Awful hadn't been created yet, so they got away with it this time. And everyone was happy. Today I'm taking a look at Go! Go! Beckham! 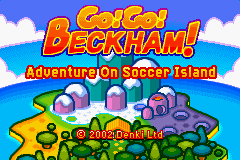 Adventure on Yoshi's Island on the Game Boy Advance, a fictionalised account of the adventures of English soccer star David Beckham. I'm just hoping it's not going to be a cartoony football sports game, because that'll lead to some boring screenshots for sure. Unless you're one of those people who loves seeing identical shots of little men standing around on a green rectangle. 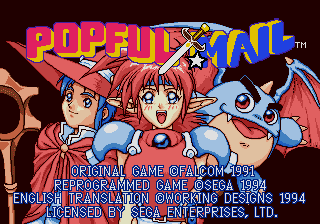 Today I'm finally getting around to ticking another game off my insanely long and shamefully neglected Requested Games list: Popful Mail, on the Sega CD. I'm reasonably certain this has nothing to do with Pop'n Twinbee or Magical Pop'n, but the 'mail' part I'm not so sure about. I'm getting a mental image of an anime-styled platformer where I have to jump around a forest delivering letters to... I dunno, squirrels. The US Sega CD version originally had a different name for a while actually, as it was going to be called Sister Sonic. The plan was to replace the cast with Sonic the Hedgehog characters, similar to how Super Mario Bros. 2 was a remake of Doki Doki Panic, but when news of this got out Popful fans managed to put a stop to it with a fan campaign.